My iPhone Is Charging Slowly! Here's Why And The Fix. You are at:Home»iPhone»Power»My iPhone Charges Slowly! Here’s Why And The Fix. My iPhone Charges Slowly! Here’s Why And The Fix. Your iPhone charges slowly and you don’t know why. This issue could be caused by your iPhone’s charging port, charging cable, charger, or software — the four components of the charging process. In this article, I’ll explain why your iPhone is charging slowly and show you how to fix the problem for good! Why Is My iPhone Charging Slowly? Your iPhone is charging slowly because you’re using a low amperage charging source. Imagine a fire hose: If voltage is the speed water flows through the hose, then amperage is the width of the hose, or how much water can flow through at once. iPhones can only charge at 5 volts, but the amperage varies from charger to charger — usually from 500mA (milliamps) to 2.1 amps, which equates to 2100 milliamps. The more amperage the charger has, the faster your iPhone will charge. Your iPhone is charging slowly because there is some sort of gunk or debris stuck inside the Lightning port (charging port) of your iPhone. 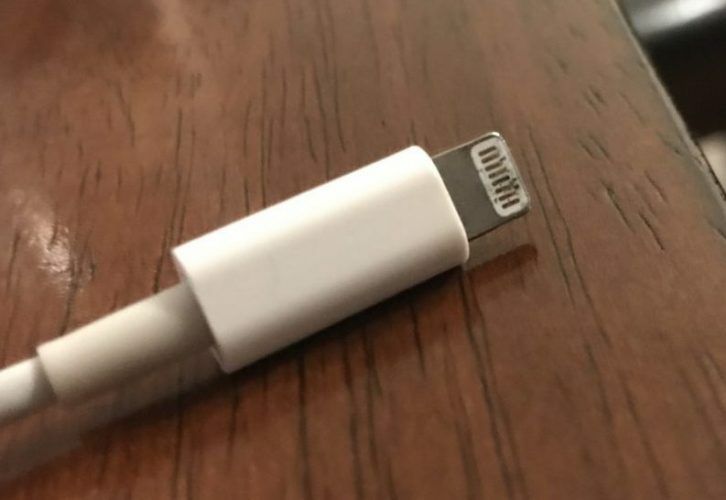 The Lightning cable (charging cable) you use to charge your iPhone has 8 pins, and if any of those pins gets obstructed by debris, it may cause your iPhone to charge slowly or not charge at all. Apple’s iPad charger is 2.1 amps, and that’s the maximum amperage Apple says you should put into your iPhone. Many fast chargers are higher than 2.1 amps, because other devices can handle it safely — iPhones can’t. We’ve hand-selected three chargers for the Payette Forward Amazon Storefront that will give you maximum charging speed without damaging your iPhone. 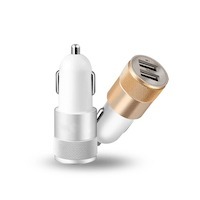 We’ve selected a car charger with two USB charging ports. One is 3.1 amps for charging your iPhone as fast as possible, and the other is 1 amp for everyday use. 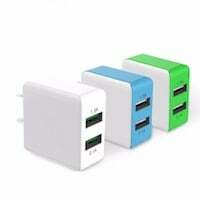 We’ve chosen a wall charger with two USB charging ports. Both ports are 2.1 amps for maximum iPhone charging speed. 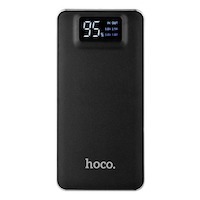 We’ve selected a portable power bank with two 2.4 amp USB charging ports, so you’ll be able to charge your iPhone as fast as possible. How Many Amps Is My Charger? Why Does My iPhone Charge Slowly In The Car? As a quick aside, let’s address why your iPhone charges slowly in the car (maybe that’s the reason why you searched for this article in the first place!). As we discussed, the dock or cigarette lighter adapter you use to charge your iPhone in the car is often low amperage. The lower the amperage, the slower the charge. If you want to be able to charge your iPhone more quickly in your car, check out the car charger above. Your iPhone will charge much faster than it does when it’s connected to the dock connector in your car. First, try cleaning out your iPhone’s Lightning port to remove any gunk or debris. We recommend using an anti-static brush, the same tool techs and Geniuses use at the Apple Store. If you don’t have an anti-static brush handy, a brand new toothbrush makes a good replacement. Stick your brush inside the Lightning port and gently scoop out any lint, gunk, or debris inside. You may be surprised by how dirty it is! After cleaning out the Lightning port, try charging your iPhone again. Is it charging at a normal rate? If not, you may want to give cleaning out the Lightning port another try. It’s possible that the debris has become deeply compacted in the Lightning port. Afterwards, if your iPhone is still charging slowly, keep reading! The next important part of the charging process is your Lightning cable. If the cable is damaged or frayed in any way, it could be the reason why your iPhone is charging slowly. Take a close look at your Lightning cable and inspect it for any damage. In the image below, you’ll see an example of a damaged Lightning cable. If you think your Lightning cable is damaged, try charging your iPhone with a few different cables. If you need to replace your Lightning cable, we highly recommend one of our hand-selected MFi-certified cables in our Amazon Storefront. Not all power sources are created equal! Charging your iPhone with a power source that has a low amperage could result in your iPhone charging slowly. If you don’t know how many amps your power source has, try charging your iPhone while plugged into multiple different sources. If you usually charge your iPhone using the USB port on your laptop, try plugging your iPhone into a wall charger (and vice versa). The often-overlooked component of the charging process is the software of your iPhone. Every time you plug a charging cable into your iPhone, it’s the software that decides if the battery will be charged. So, if there’s an issue with your iPhone’s software, your iPhone may charge slowly even if there’s nothing wrong with your Lightning port, Lightning cable, or power source. To fix a potential software problem, we’ll perform a DFU restore, the most in-depth restore you can perform on an iPhone. Check out our article to learn more about the DFU restore and how to perform one on your iPhone. If your iPhone is still charging slowly, or if your iPhone won’t charge at all, you may need to get it repaired. If your iPhone is still covered under warranty, take it into your local Apple Store and see what they can do for you. We recommend scheduling an appointment before you go, just to make sure an Apple tech or Genius has time to help you out. If your iPhone isn’t covered by a warranty, or if you need to have your iPhone repaired today, we highly recommend Puls, an on-demand repair company that can send a certified technician to you in as little as an hour. Best of all, Puls can sometimes repair your iPhone at a cheaper price than you’d be quoted at the Apple Store. Your iPhone is charging normally again and now you don’t have to wait all day to have full battery life. 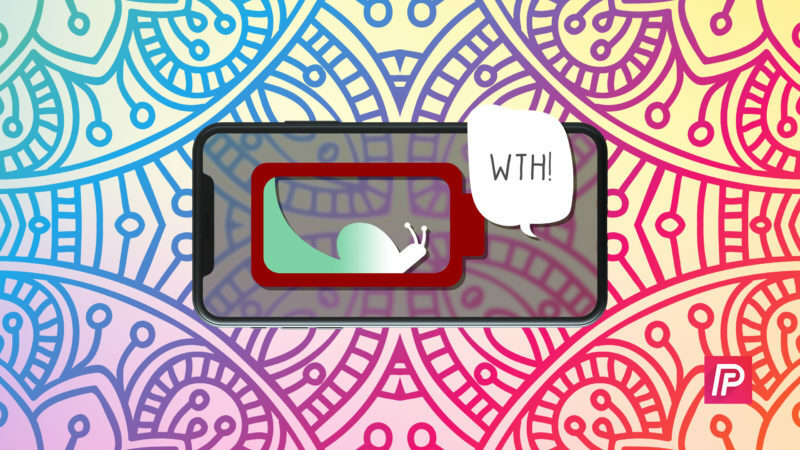 Now that you know why your iPhone charges slowly, we hope you’ll share this article on social media with your friends and family! If you have any other questions, feel free to ask them in the comments section below. Previous ArticleHow Do I Block A Number On An iPhone? The Fix!